In a mass produced world, authentic products offer something special to the discerning consumer. 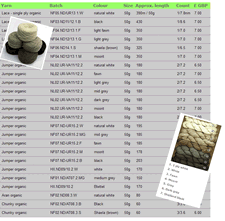 Shetland Organic wool is one of those products. Provenance is everything. So organic Shetland wool should only come from Shetland. But there is more; as an authentic product, it should use a breed of sheep native to the Shetland Isles, the Shetland Sheep. Our wool and yarn does just that: Shetland wool, from native Shetland sheep, from Shetland. Wool from a breed which has evolved over the last 5000 years in Shetland has something special. It is perfectly suited to the climate in which it is grown. It has evolved to protect the sheep through wild winters. It is a product of diet, climate and traditional farming methods. Such a wool would be very difficult, if not impossible to produce anywhere else. 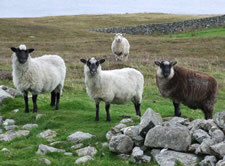 For centuries Shetland wool has been prized above all other breeds. 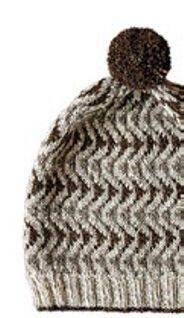 The very fine quality of the wool, its handle, bounce and insulation properties being world beating. The first people to climb Mt. Everest chose Shetland woolen garments for their light weight / high insulation and breathability. Organic wool from Native Shetland sheep, born and bred in Shetland. 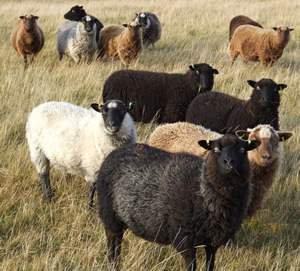 There is an increasing demand for certified organic wool, and with the range of natural colours from the native Shetland hill sheep it is hoped that a small-scale processing unit might be developed in Shetland that would provide added value to this exceptional product. Currently, organic sheep flocks in Shetland are few in number, so only a small quantity of wool from these animals will be available each year. For the yarns to knit the Bousta Beanie by Gudrun Johnston follow this link to our sister site at www.shetlandorganics.co.uk to buy your jumper-weight Organic Native Shetland Wool in ‘colourway 3’ natural colours. There is a limited supply of these yarns, so contact us straightaway to ensure that you can purchase them while in stock.